Hard Disk or HDD is one of the components that serves to store all data as well as Windows files. And in this advanced and advanced era, SSD or Solid State Drive can also be an alternative to HDDs. The SSD is also much faster than the usual hard disk, and it can be installed on any laptop and desktop that uses SATA connections. The SSD has a structure that looks almost the same as a USB drive or pen drive. And just like pen drive, it stores all the data on a microchip. And SSD does not use any mechanical components that can make it easily damaged. SSDs are also very light when compared to HDDs. HDD stores data as well as files on a platter that looks like a CD. There is a mechanical radius used for writing and also reading data on the HDD. Custom HDDs come in much larger capacity at cheaper prices than SSDs. HDD uses electronic and mechanical systems, making it bigger and heavier. While SSD uses only electronic chips, it makes it smaller and lighter than HDDs. Most SSDs are 2.5 inches, while the HDD is 3.5 inches wide. The work process for HDD is that data processing comes from a combination of mechanical and electronic systems, where the gear is rotated by the motor and each gear is connected to electronic components and there is a process of data processing. While the work process for the SSD is, there are only electronic components called Integrated Circuit (IC), microchips and capacitors and resistor, so all data processing is done electronically as RAM and Flashdisk. 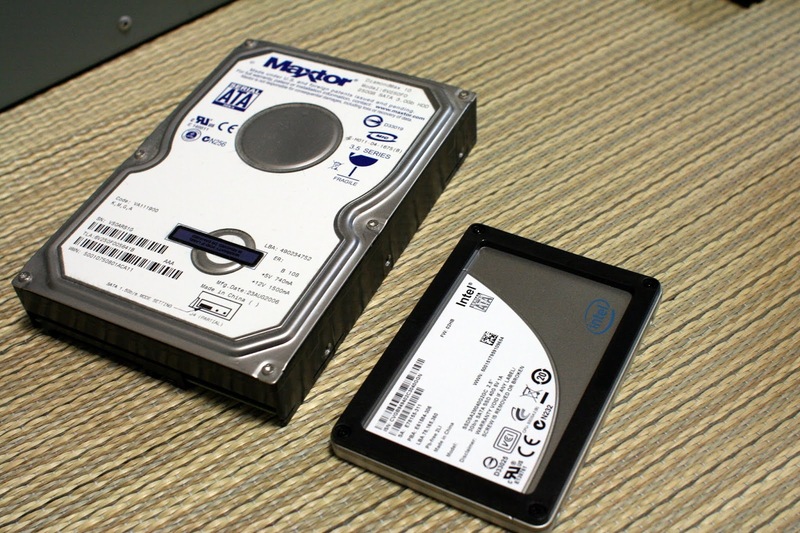 The most significant difference between HDD and SSD. Laptops that use SSD can boot very quickly compared to laptops using HDD. In terms of resistance, SSD has better durability compared to HDD depending on the user. However, HDDs can also last a long time if well maintained. Because SSD has many advantages over HDD, it's not surprising that SSD prices are more expensive than HDDs. If you have more money and work fast, it's not wrong to use SSD. But if the HDD is enough, it's okay.